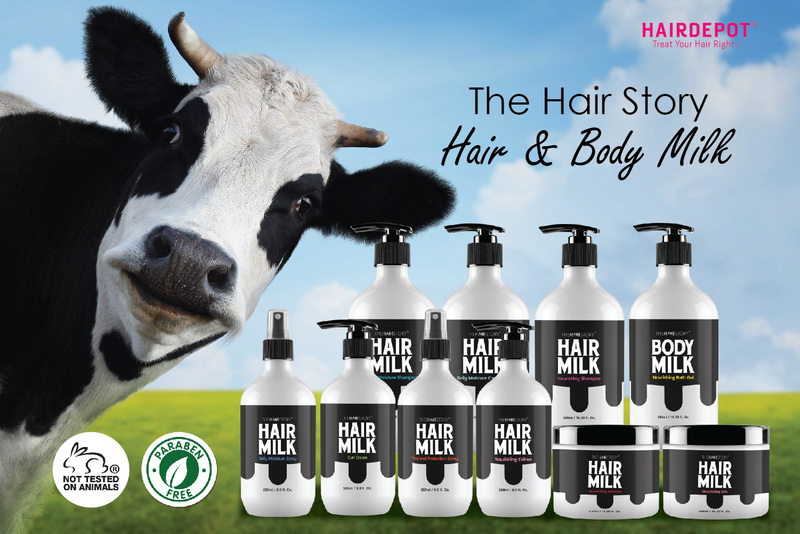 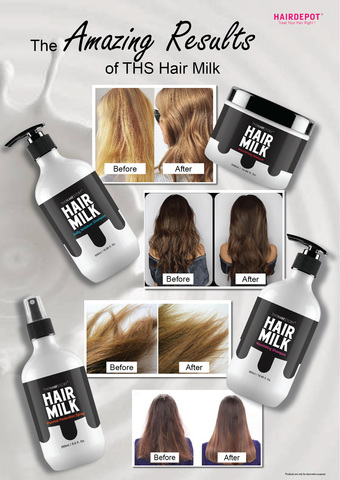 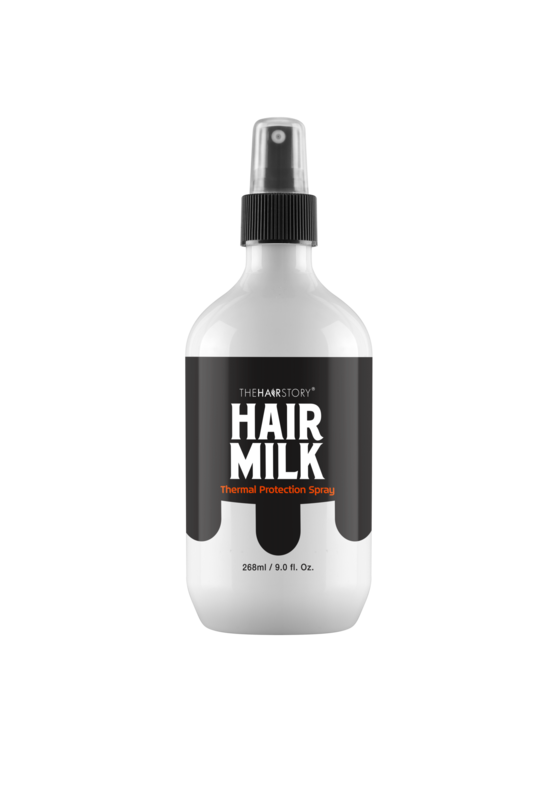 THS HAIR MILK THERMAL PROTECT SPRAY 268ML – HAIRDEPOT - Hair & Scalp Care Products, Prevent Hair Loss, Shampoo, Conditioner, Treatment, Styling, Appliances and more! 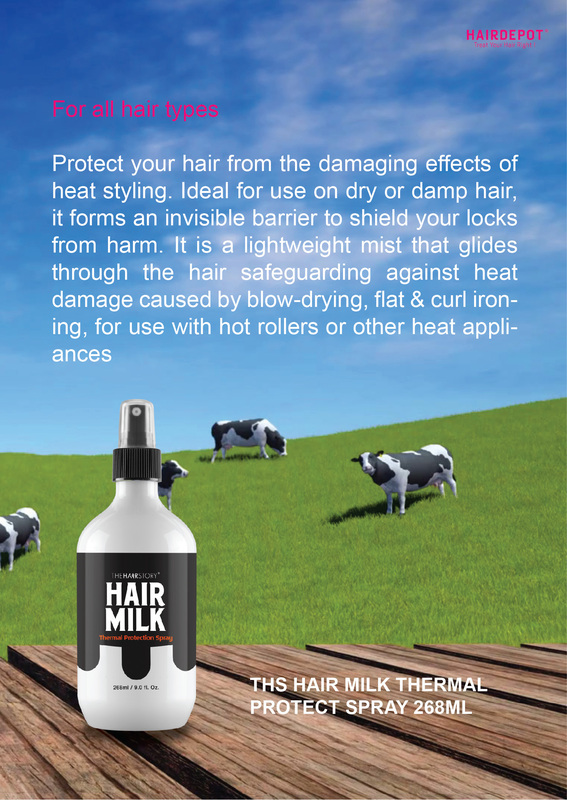 Protect your hair from the damaging effects of heat styling. 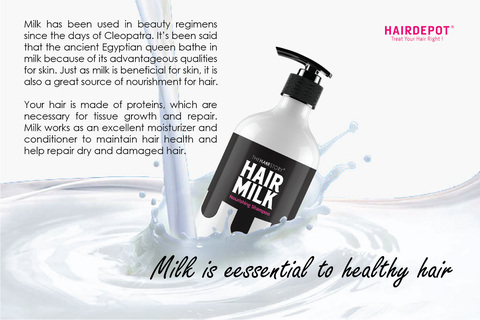 Ideal for use on dry or damp hair, it forms an invisible barrier to shield your locks from harm. It is a lightweight mist that glides through the hair safeguarding against heat damage caused by blow-drying, flat & curl ironing, for use with hot rollers or other heat appliances. 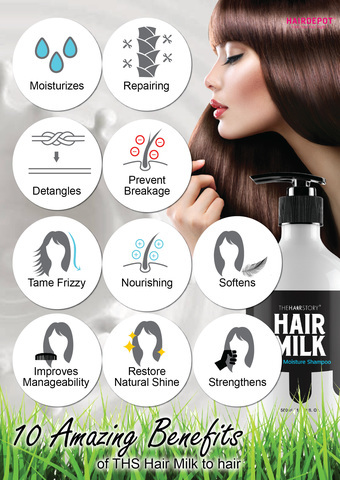 Spritz from roots to tips, use 6-8 sprays for mid to long length hair. 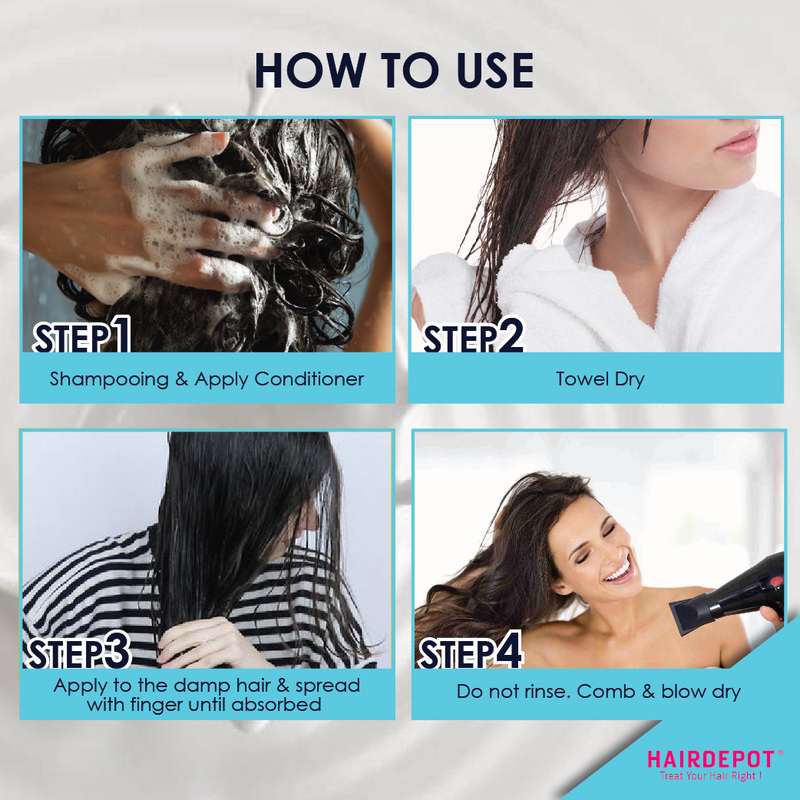 Comb through, then use your hair dryer or style.